The East Lounge, too, will offer wonderful views of Chicago River traffic with a more downriver view toward Navy pier and the Centennial Fountain with its "must-see" hourly water arc. 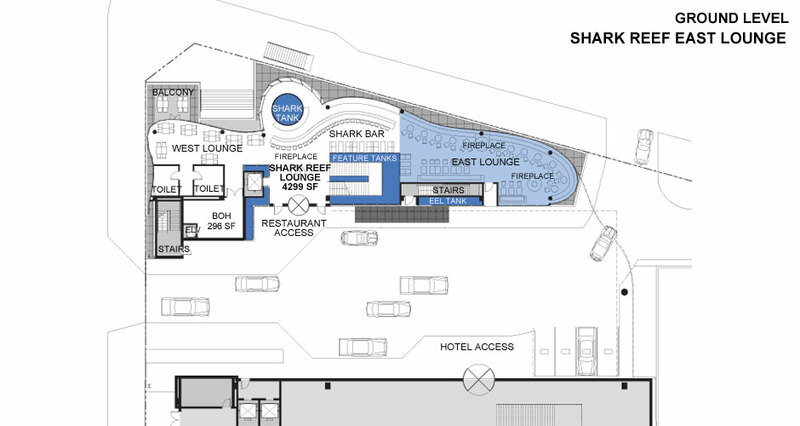 Guests can see the giant shark tank and other aquarium features through the restaurant's transparent design. Two warming, mood-setting fireplaces grace the area.